Marketing to parents and grandparents must cut through the media clutter. Ever since its introduction in late 1989, Educational Insights’ internationally-acclaimed GeoSafari learning system has been a continual star performer in the educational toy industry. Educators buy it for their classrooms, parents and grandparents buy it for the simple reason that it makes learning fun. But after years of stardom on the shelves of toy stores across the country, even the most successful product can benefit from new marketing ideas. That’s why Educational Insights came to CDMG and asked me to help. GeoSafari’s challenge was to boost sales with a unique new approach to marketing. So, I created a full-color, 16-page magalog for this company. A magalog is direct mail’s equivalent of TV’s infomercial. It’s a powerful, proven strategy that communicates the benefits of your product or service, and gets a response. 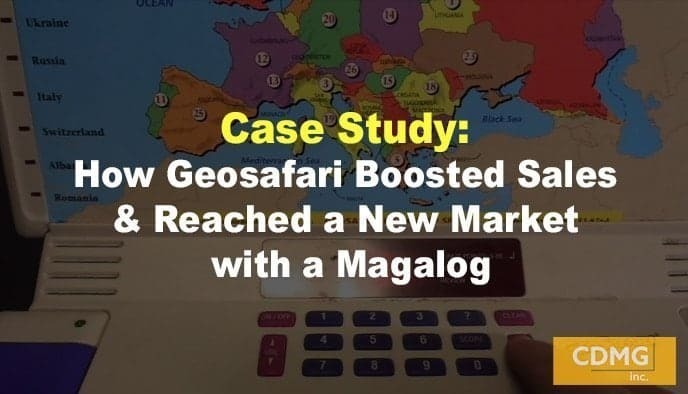 Using every one of its 16 pages to full advantage, the magalog told the complete story of the GeoSafari product and its unique benefits. Punctuating the main story of GeoSafari’s proven effectiveness in making learning fun were a series of unique “hands on” testimonials from people in the National Geographic Society. Since the GeoSafari learning system carried a $100 price tag, I also came up with a strong, compelling “send no money” offer. This offer featured bonuses like a free wall map of the world, free charter membership in the “GeoClub,” a timely “In the News” subject card, plus an upsell program for additional lessons at a special reduced price. The results were a significant increase in sales, and a whole new market for GeoSafari. Often the only thing standing between an established product’s past and future success is an effective direct marketing effort. If you have a mature market that needs to be revitalized, let’s talk about how you can boost your sales with a magalog. When incorporated with digital elements in a multichannel, integrated campaign, this is a powerful strategy to boost response and reach a whole new prospect audience. Give me a call at (310) 212-5727 or email Caleb at caleb@cdmginc.com and let’s talk!